This seminar presents Mary Benbow's approach to improving developmental hand function and establishing competent cursive writing skills. 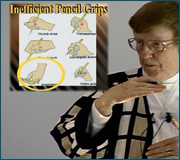 Introduction to Developmental Hand Function; Muscles of the Wrist; Muscles of the Palm; Muscles of the Digits; Muscles of the Thumb; Dysfunctional Hand Grips; Assessment of Hand Skills; Developmental Hand Activities; Analyzing Dysfunctional Hand Skills; Visual-Motor Integration; Assessment of Cursive Writing Skills; Teaching Cursive Writing Through a Neurokinesthetic Approach. 1. List the basic anatomical aspects of the hand and their related functions. 2. 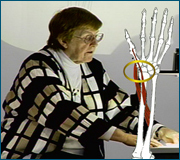 Describe the basic kinesiology of the movement of the hand. 3. List the skills of developmental hand function. 4. List the developmental activities that address hand skills. 5. List the fundamental principles of the neurokinesthetic approach. 6. 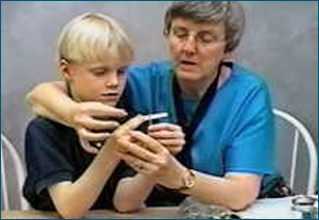 Observe and describe screening and assessment for developmental hand function and handwriting through demonstrations. AOTA Domain of OT Category 1, Texas CE Type 2, NBCOT PDUs, CABOT Advanced Practice in Hand Therapy APP-H39, approved by the New York PT Board, California PT Board and the Illinois PT Board. For other State PT Board approvals click on CEU Course Approvals on the CEU Course Listing Page.